Window blinds, shades, and treatments come in a variety of shapes, sizes, and styles. Besides traditional horizontal and vertical blinds, there are shutters, roller blinds, honeycomb shades, wood blinds, and Roman blinds. In this article we take a look at the current automated window blind marketplace and why you should automate your window blinds. Regular window blinds require cables and strings to open and close. After long-term use, these cords often become tangled. Some blinds are also heavy, which could prove difficult for some users. Less expensive window blinds are often flimsy and break easily. By contrast, automated window blinds allow you to open or close your blinds, at the same time or individually, with a simple touch of a button. Besides the convenience they provide, automated window blinds also offer peace of mind, especially in homes with children 7 Family Safety Tools To Keep Your Kids Safe Online 7 Family Safety Tools To Keep Your Kids Safe Online Like the real world, the internet can sometimes be a scary place for your kids. There are some great apps and tools to keep them safe; here are some we think are the best. Read More and pets. According to Blinds.com, there have been 500 reported incidents of children having harmful or fatal encounters with corded blinds during the past few decades. At issue are the exposed cords, which can pose a strangulation hazard. There are multiple ways to power a motorized window treatment. A DC power adapter doesn’t require batteries and ideally suited when power outlets are nearby. Battery tubes are useful when outlets aren’t near the window. These battery cells attach to the window blind, usually at the top. Solar power kits have also become popular in recent years. These use sunlight to generate energy, thereby not requiring batteries or power cords. Solar energy kits typically have an unobtrusive design. Automated window blinds come with a variety of remote control options. As a buyer, you can usually select the type of remote control to ship with your blinds. Some choices are more expensive than others. A one channel remote (or one channel wall switch) is ideal for a single window or a group of windows you want to control at the same time. A multi-channel remote allows up to five programmable channels at once. These remotes work best in homes that have multiple rooms with groups of shades. Finally, a programmer timer allows you to schedule shade movements, according to the time of day. For example, you can program your shades to open at sunrise and close during sunny times and at sunset. 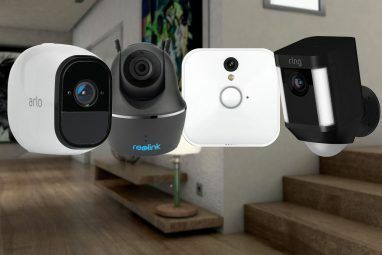 Besides the convenience this type of controller provides, it also adds a level of security Home Security Systems May Not Be As Secure As You Think Home Security Systems May Not Be As Secure As You Think Here we take a look at some of the most notable smart home security hacks – exploring what happened and why it happened. Read More to your home since it gives the appearance that someone is around even when you’re away. Increasingly, vendors are also offering smartphone apps that control window treatments. At the minimum, these apps offer the same features as a programmer timer. Many offer additional features. Swiss-based Somfy has been providing motorized blinds in the United States since 1977. They offer indoor and outdoor models for residential and commercial use. Somfy shades are noted for having a “my” function, which lets you program a preferred position for your blinds or shades. Just press the “my” button on your Somfy app and you’re done. Blinds from Somfy also feature myLink, which allows you to program a scene that closes your blinds automatically at dusk as you switch on your lights. Thanks to a sensor, you can also have your blinds close automatically at sunny intervals. This feature offers protection from damaging UVA sun rays. Somfy’s product line also includes curtains, awnings, pergolas, and projection screens. Thanks to Lutron app integration, Serena’s remote controlled shades work with Apple HomeKit and Google Play. 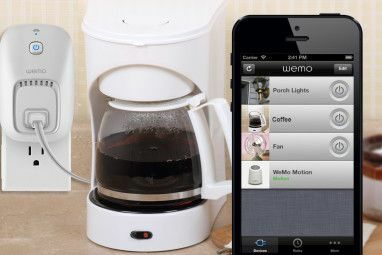 Better still, you can control lights Which Smart Hub for Home Automation Is Best for You? Which Smart Hub for Home Automation Is Best for You? 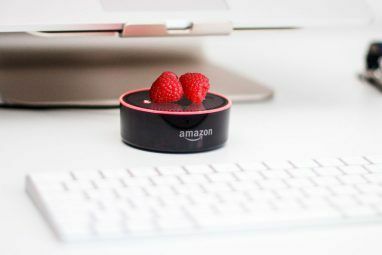 For a while, people thought of the idea as nothing more than a gimmick, but recent product releases have shown that smart home automation is starting to live up to its promises. Read More and shades using the same app (or through your Apple Watch.) For example, you can add scenes that control lights and shades together, depending on the time of day. Serena’s shades also work with Apple Siri, allowing you to control movement with your voice. All that’s required is an $80 smart bridge. Batteries typically power Serena shades. HunterDouglas offers a large selection of motorized window blinds with a proprietary featured called PowerView. With PowerView, you can move your window treatments to the position you want using an app or a PowerView Pebble controller. Each provides the ability to control and schedule your blinds with ease. Texas-based BTX provides both shade systems and motorized drapery tracks. The company’s products are easy to integrate with A/V systems such as touch panel displays and projector screens. Finally, MechoSystems has been making commercial applications with motorized shading systems for decades. The company is known for its roller shades, unique fabric choices, and motor longevity. Many factors go into the price of a motorized window treatment. These include the material and type of motor you select, plus the size and number of windows you’d like to motorize. You may buy window treatments through a vast retail network that includes large box stores, such as Lowes and Home Depot, and smaller specialty stores. Online retailers like Blinds.com and Bali Blinds offer larger inventories, usually at lower prices. Even if you decide to make a purchase at a physical retail store, you should check prices online first. Sites like Blinds.com have pricing tools that give you a general idea of what each component will cost. Use these tools to compare the prices you receive in stores. You should also watch for sales, especially on weekends. Saving money 5 Budget Apps You Should Use If You Really Want to Save Money 5 Budget Apps You Should Use If You Really Want to Save Money Here are the most effective budget apps currently available. Pick the one you like best. Read More is good, no? Can’t afford motorized? You can still go cordless, even if you can’t select a motorized solution. Parents for Window Blind Safety (PWBS) has a lot of information on the subject and has an active list of acceptable solutions. Do you want to keep your existing treatments? Many traditional window treatments will work with automated systems. If the ones in your home are compatible, this could lead to huge savings. Ask your retailer for more information on converting your existing treatments. Motorized window blinds The Best Automated Blinds and Why You Need Them The Best Automated Blinds and Why You Need Them It's possible to turn window blinds into "smart blinds", by installing an affordable electronic pulley system. Here's how you can get your hands on one, and what it can do for you. Read More continue to advance as technology has improved, and demand has risen. Though more expensive that corded solutions, motorized window treatments are safer, more convenient, and offer longer durability than traditional solutions. What type of automated window blinds do you use? Let us know your reasons below.